Kennametal HP Solid Carbide Deep-Hole Drill Promotion. 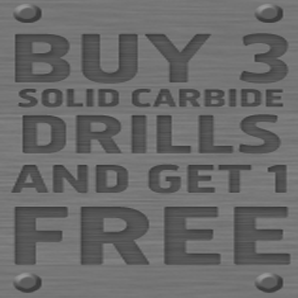 Purchase 3 solid carbide Kennametal drills and get 1 free! Products must all be the same. The 4th drill will be deducted at the check-out. This is an exclusive on-line offer.